We recently helped a University in Massachusetts set up Dynamic Virtual Circuits, a feature of the Exinda Network Orchestrator, to manage traffic to and from their campus resident networks. The University currently has 1G of Internet bandwidth and they wanted to employ a fair share mechanism to distribute available bandwidth equally among the student resident population, regardless of application (after stripping off P2P of course). We quickly determined that Exinda’s DVCs were the perfect mechanism to accomplish this, and it’s a breeze to set up! We already had Network Objects created for every dorm building on campus, so we created a master network object that included every building. This allows us to set controls once and still provide granular, building-by-building application usage reporting. 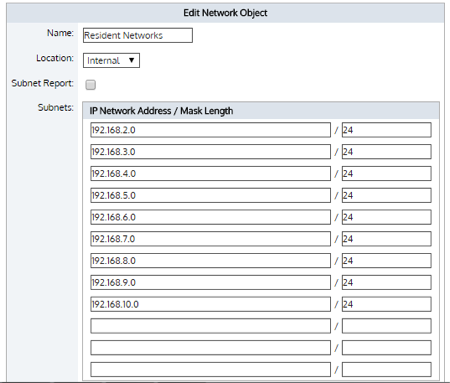 We kept the option to enable subnet reporting on an individual subnet basis, but when we created the master object, we did not enable monitoring. Next, all we needed to do was configure a DVC to include the Resident Network Object, after we applied our Choke Policy for all P2P services. A DVC is created using the Create Virtual Circuit option and in this instance was created using the following attributes. We wanted to dynamically create a 10M guaranteed bandwidth circuit for each user when they were online – this configuration allowed us to fair share the bandwidth pool we allocated for the resident networks. In this case, 700M during the day and 900M from 9PM to 6AM, using our policy schedule feature. The goal was to enforce fair sharing, and to impose a 10M limit for each user that they could not exceed, the settings below accomplished just that. The Exinda Network Orchestrator DVC mechanism allows you to manage traffic congestion by policing bandwidth available to each host in your network. 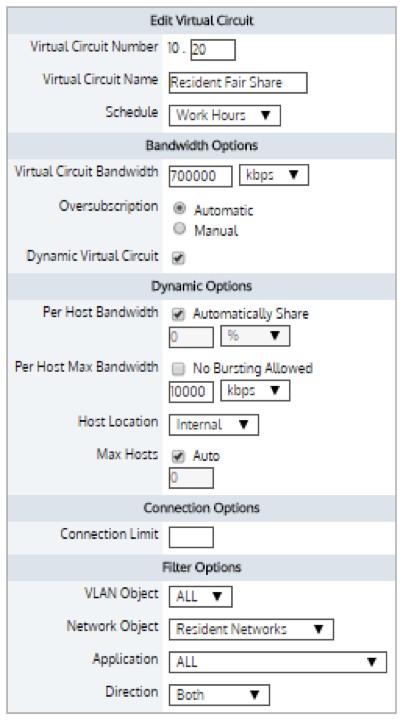 You can allocate a minimum amount of bandwidth for critical applications, such as VoIP and Citrix, for every host in your network. You can also restrict the bandwidth that each host can utilize for recreational purposes, or the aggregate traffic for all applications. 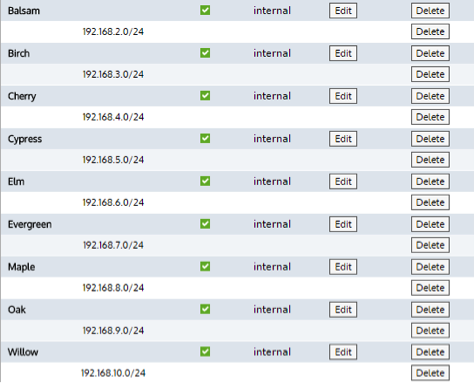 DVCs can also be integrated with Active Directory so bandwidth management can be tailored to users or groups. The best part, it only took us 10 minutes to setup and test to ensure everything was working as expected. Looking to ensure fair sharing across your campus network? Let us show you how. Book a Demo.